Research carried out by the Health and Safety Executive for the period 2016/2017 reveals some concerning statistics regarding Health & Safety in the workplace. To name a few – 1.3 million employees suffered from a work-related illness, over 70,000 injuries were reported under RIDDOR, and 31.2 million working days were lost. 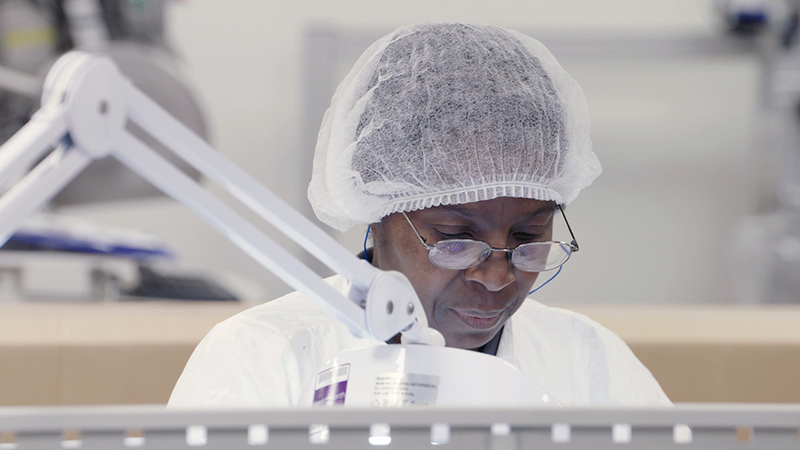 For H&T Presspart, a leading provider of medical drug-delivery devices and components to the pharmaceutical sector, safety comes first. We were tasked with producing a concise yet effective workplace safety video to help communicate the importance of adhering to the company’s Health & Safety guidelines. The video, shown in the building’s reception area, had to engage and immediately capture the attention of both visitors and employees. Prior to the shoot, we developed a script and creative strategy. 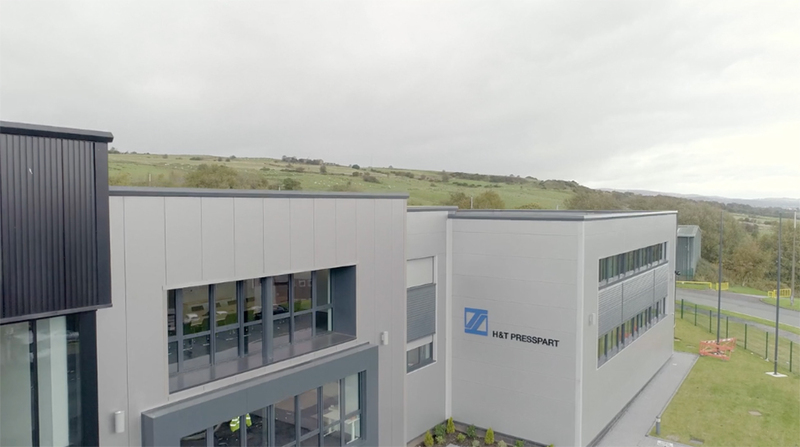 The video opens with stunning aerial drone footage, presenting H&T Presspart as a leading organisation with safety at the centre of its global operations. The relaxed yet formal tone of the different scenes, professional voiceover artist* and music track immediately evokes stability and safety, and avoids distracting the audience from the message being communicated. This approach lets viewers absorb and process key safety instructions quickly. We opted for a mixture of actors and real H&T Presspart employees, adding authenticity and immediately emphasising the connection between colleagues and visitors, and the part everyone plays in achieving a safe working environment. The workplace safety video was shot – in only one day – by a 2-person team with a drone operator, and 4 different cameras that produced 4 different Log files; using this format allowed us to retain more visual data, contributing to the technical and narrative quality of the film. To stabilise moving shots, our crew used a gyroscopically stabilised camera. Once narrative and edit were in place, our video editors were able to balance colour and light from interior and exterior shots to give the illusion that all footage was shot with only one camera, adding a consistent visual tone to the film.